Dave Broom’s latest batch of new whisky tasting notes are a globe-trotting affair, taking us on a journey to Campbeltown and Speyside, via Ukraine, Spain, Portugal and South Africa. 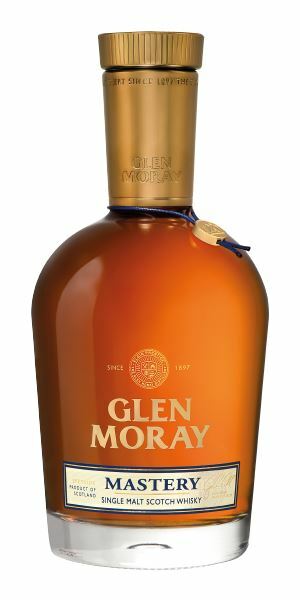 It starts with the first of two Glen Morays, which is also the first of two bottlings from the Scotch Malt Whisky Society (SMWS). It might be called ‘Frightfully Delightful’, but Broom is less than convinced by its ‘slightly sickly’ character, which conjures an unappealing image of Donald Trump eating banoffee pie. The second SMWS offering, a powerfully spicy 11-year-old Glen Scotia, fares no better. 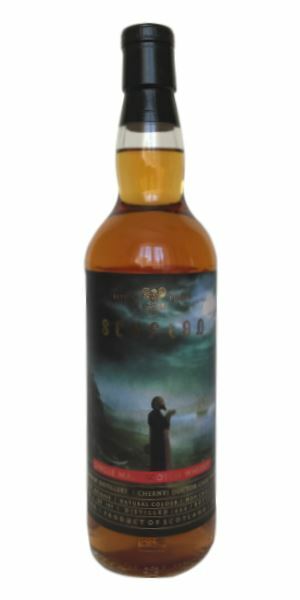 Where the Glen Moray had too much cask influence, this has too little, leaving it ‘beached on the shoreline’ in Broom’s eyes. There’s a slight improvement to proceedings with our third whisky, the latest wine-finished Scyfion Choice bottling from a private Ukrainian bottler. There’s praise for its ‘real richness’, but a slight reservation about the dominant influence of the wine cask. It’s tempting to regard this week’s batch as a tasting of two halves – because the last three single malts are all absolute crackers. First there’s our second Glen Moray – Mastery, a vatting of five vintages put together by master distiller Graham Coull for the distillery’s 120th birthday. Broom particularly praises Coull’s ‘deft handling’ of the mature stocks employed here. 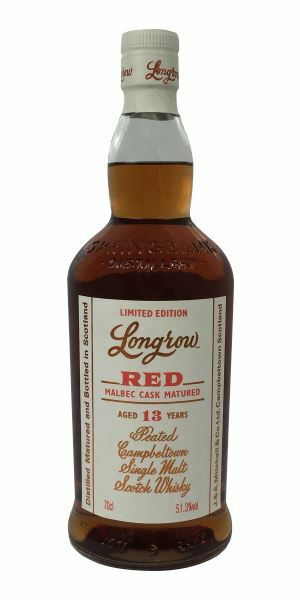 Then we’re back in Campbeltown for a remarkable 13-year-old Longrow (Springbank’s heavily peated variant), finished in ex-Malbec casks from South Africa’s De Toren Private Cellar winery. A limited run with a tempting price tag, it’s already hard to track down. How can Broom follow that? 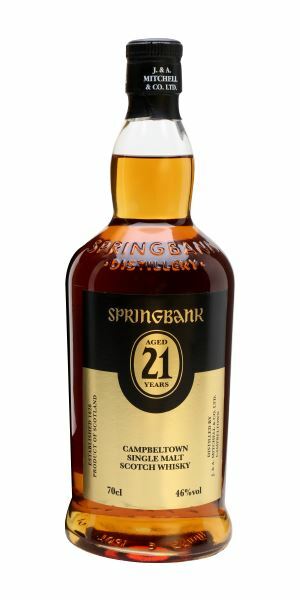 With this year’s Springbank 21-year-old bottling, that’s how. Let’s just say that it’s ‘endlessly fascinating’ and brings to mind cigars and Proust. Deeply tanned with equally huge wood impact: heavy vanilla over this massive banana, the caramel sauce on top of a flan, croissant and caramelised fruit. This overload of stickiness is slightly OTT, to be honest, and ends up slightly sickly in its sweetness. Water doesn’t blunt this in any way, other than the fact that the bananas have suddenly become overripe. The sheer power of the wood extracts has reduced any burn and there’s a new strawberry and toffee element. Syrupy and soft, with some melting Demerara sugar and a touch of chocolate. Masses of power, but ultimately one-dimensional and clumsy. Donald Trump gorging himself on banoffee pie. Crisp, fresh and hot with a light touch of woodsmoke, dry grassiness and a spritzy, Mosel Riesling-like element of slate and apple. The smoke slowly grows, but is never dominant. It’s also hot and needs water, though rather than opening things up, this brings out a sterile edge. It’s sweet on the tip of the tongue with some lavender, but the alcohol cuts through the light oiliness and sears the tastebuds. There’s a slight soapiness on the middle when water is added, along with smoke, tinned pear, lemons and a verjus sharpness on the end. Insufficient cask influence has left this beached on the shoreline. Shivering next to a smokehouse on a pier. Fat and sweet with fleshy fruits, barley sugar and a blackcurrant element which oozes into summer pudding. There’s a tiny hint of sandalwood and some nutty, oxidative notes alongside stewed and slightly overripe fruit. Water brings out more of a bready/yeasty element, along with more vinosity. Soft and quite thick. The unctuous fruits stay on the black side, with crisp, quite buttery oak. It’s exotic and rich, with some mulberry and burnt butter on the end. Water makes things more rounded and pulls out more sweetness. A slightly bitter edge adds balance. Bottled for the Ukraine market, this has been given 28 months in casks which had previously held a sweet red wine made from the Ekim Kara (‘Black Doctor’) grape. There’s real richness, but the wine element is slightly dominant. Faces smeared in berry juice, the children fell asleep in the back of the car. Slightly shy, but there’s chocolate-dipped strawberry, mature dunnage notes, then a mix of stewed black and blue fruits with whiffs of leather. It steadily moves to the savoury side of fruitiness, with tantalising hints of decay. Water brings out some Spring flush Darjeeling tea, sloe and drying oak that slightly reduces the Glen Moray sweetness. Much more generous and open than the nose, with good layering and complexity, touches of crème brûlée, waxed fruit, chamois leather and a dusty element that brings to mind antique shops. From the mid-palate on there’s dark maple syrup, light, nutty and date-like Sherried elements which begin to take charge towards the back palate. It does benefit from a little water, which floats some rose petals over the rich fruits. Dry, coffee-like, but still elegant. Blended by Graham Coull to celebrate the distillery’s 120th anniversary, this is a mix of Madeira- and Sherry-matured whiskies, with some Port-finished casks, drawn from five vintages dating back to the 1970s. I applaud their openness is saying what is going on. Some deft handling of mature stock, adding savoury depth. The palate is the key here. A great dram. As gentle and layered as a Wayne Shorter solo. Smoky from the off, but also generous and soft, mixing lightly earthy, lush black fruits (cherry, cooked plum) with a lightly meaty (biltong?) element. Autumnal and complex. As it opens, so things become more briny with some tarry phenols before the currants come through, alongside some cedar. Again, an immediate and beautifully balanced mix of fruits and smoke. The finishing cask adds layers of pomegranate molasses, cherry and fig that give depth to a meaty, smoky, slightly salty spirit. Composed and long. Aged for 12 years in ex-Bourbon casks and then a further 15 months in Malbec casks from South Africa’s legendary De Toren Private Cellar. Limited to 9,000 bottles. Seek one out. You will not be disappointed. Lost in an autumn orchard. Blue smoke rises in the distance. 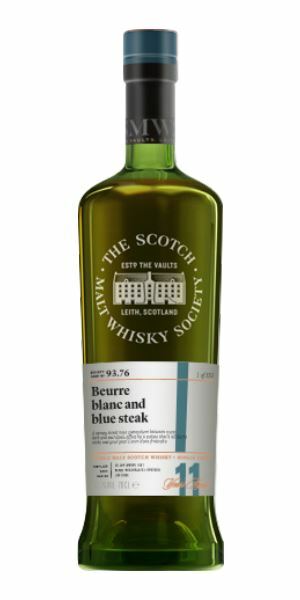 The fruity/oily interplay of the opening gives a discreet nod to single pot still Irish; there’s waxed paper, tapenade, salumi and then a sudden release of apple and fresh guava, alongside more of a briny edge. In time you get the leathery and tobacco-like notes of age, along with added pencil shavings. Complex and seemingly contradictory, but somehow balanced. Water makes things more subtle, waxier and coastal. Sweet, thick and chewy with some pot-pourri, then tangerines. The smoke is gently handled, along with a hint of mineral salts which helps to cut through the weighty mid-palate. The tannins are light. The woodsmoke element becomes more assertive, with water moving things into kedgeree territory before the fruits come back in – cream Sherry, toasted nut, orange peel. Raisined fruit and smoke. Oily still. Phew! Hugely rewarding and endlessly fascinating. 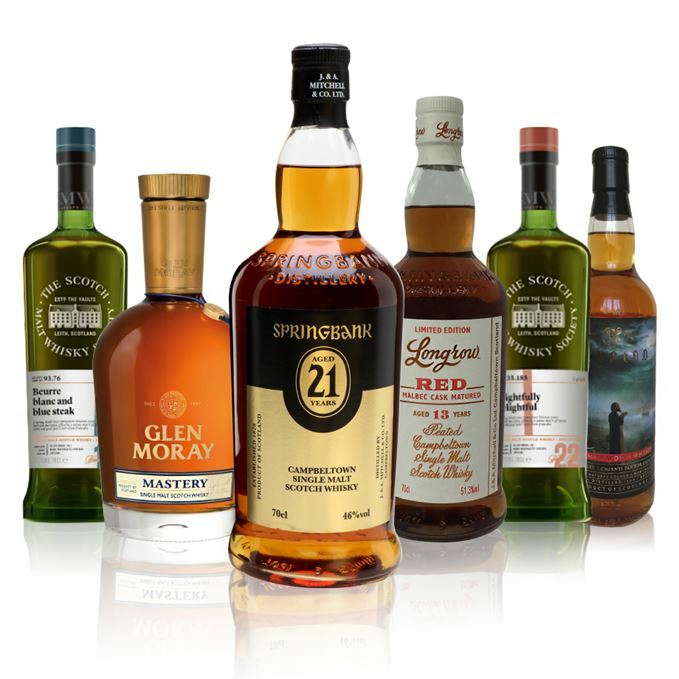 Highest recommendation for what is a classic Springbank. Reading Proust on the beach while smoking a cigar. Batch 104 14/07/2017 A rich and sweet theme including three Dalmores, Highland Park, Glenrothes and Auchentoshan. Batch 102 30/06/2017 New whiskies include Douglas Laing’s Big Peat 2017 Fèis Ìle bottling and a trio of Strathmill malts.